Festive speech bubbles to use for your party invitations and event posters. 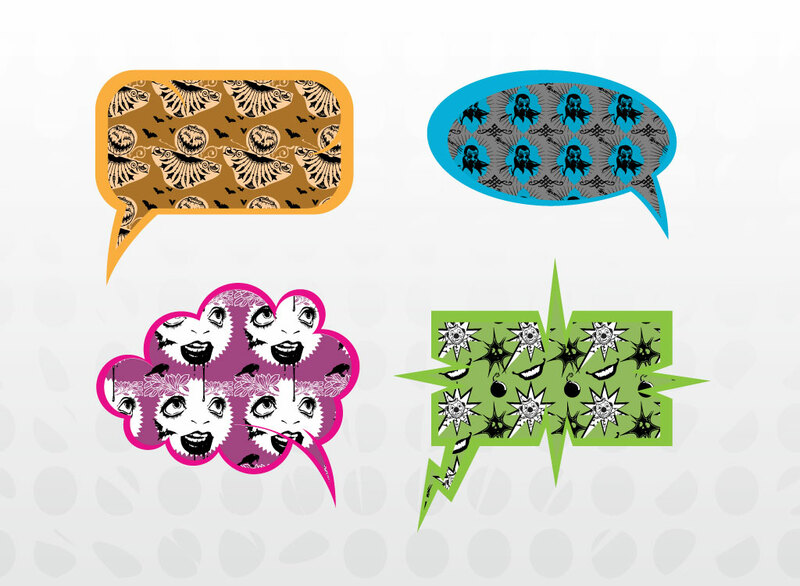 Collection of four different chat balloons in distinct shapes and colors and each has a pattern background. Pumpkins and bats, vampires, clowns, skulls and bombs all make for cool and unique decorations. Use the free download for the speech bubbles or apply the pattern swatches to a Halloween themed design. Tags: Bats, Bubbles, Clowns, Pumpkins, Speaking, Speech Balloons, Vampires.